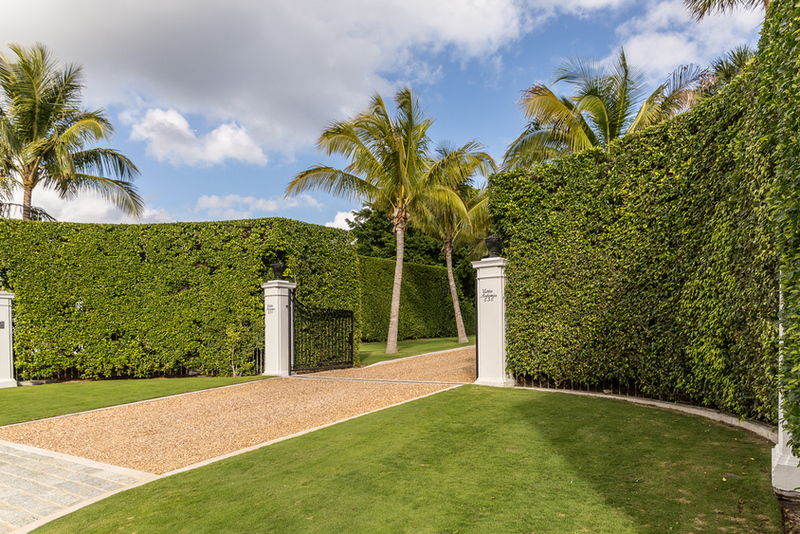 Nievera Williams Landscape Architecture is proud to have directed the landscape renovation and re-design of this historic Palm Beach residence. 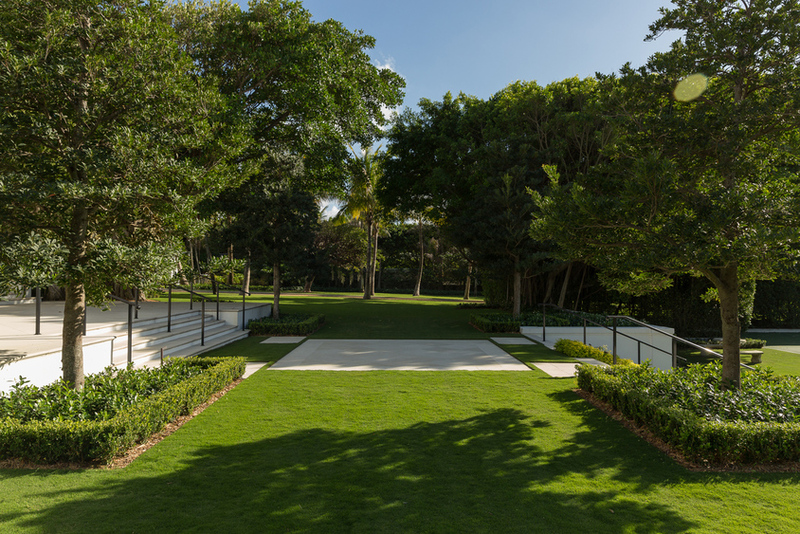 The landscape won the coveted Lesly Smith Award for prominence in landscape design presented by the Preservation Foundation of Palm Beach. 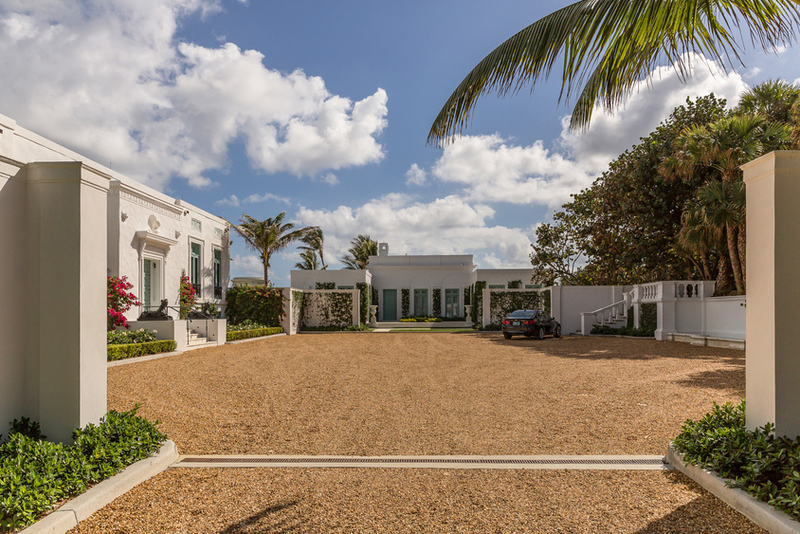 The residence designed by historic Florida architect F. Burrall Hoffman Jr. 1916, and renovated by the current owner, whose family is one of only two owners of the property. Nievera Williams was able to restore much of the properties formal gardens much in the way it appeared in the 1950’s utilizing the latest horticultural introductions of native salt tolerant plant materials, replacing high maintenance, invasive, and water-loving plants used in the past. 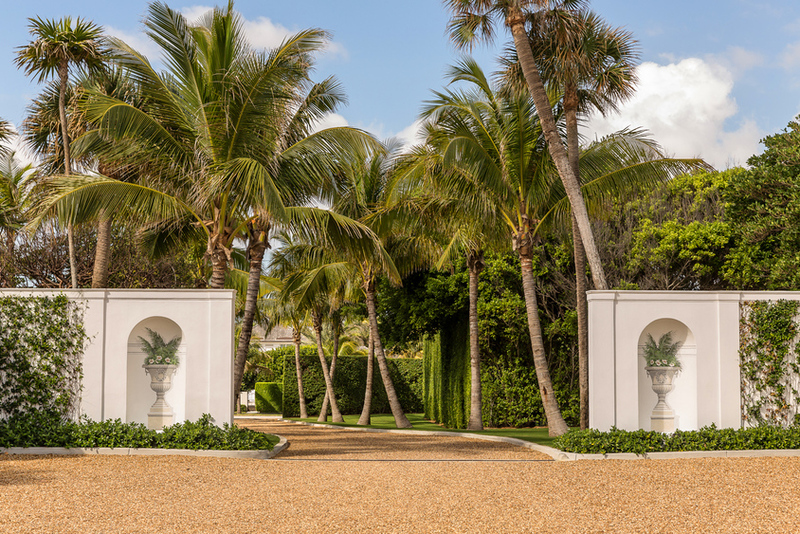 Nievera Williams softened the long entrance drive with tall swaying coconut palms, creating a palm plantation feel. 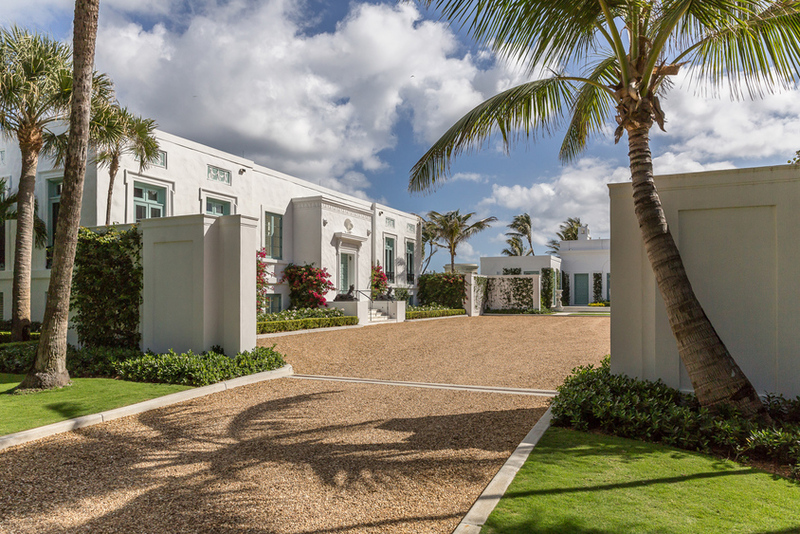 The formal front facade was re-designed incorporating color and detail with formal beds of hibiscus, gardenia bougainvillea and jasmine. 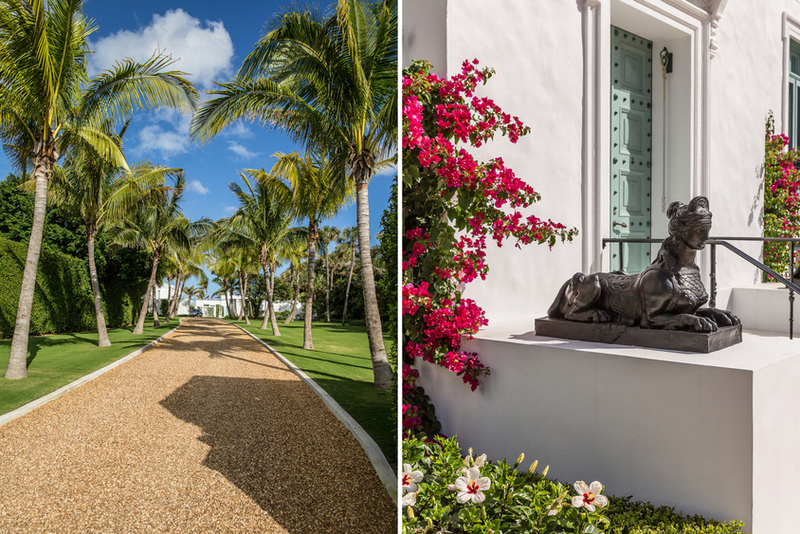 The rear garden, captured in the lens of a famous Slim Aarons photograph, is an iconic space in design history. 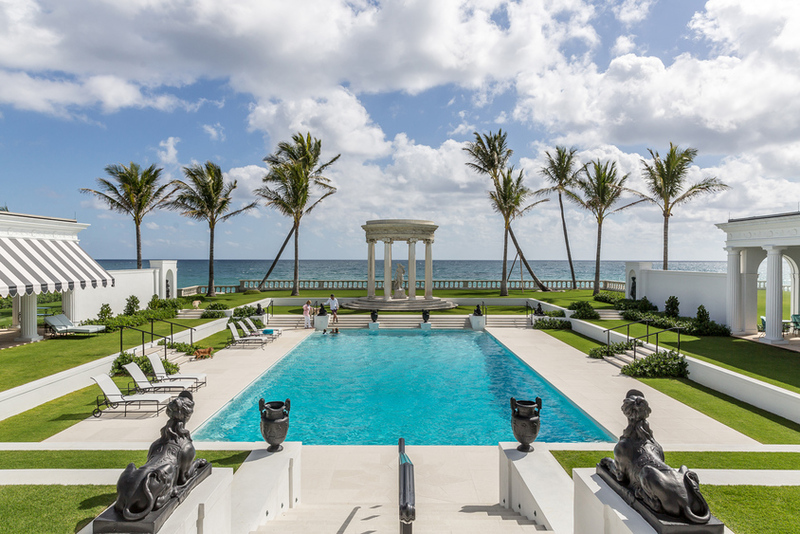 Nievera Williams directed the restoration and re-construction of the large pool and columned ‘tempietto’ using durable, long-lasting hardscape materials, and newly available salt and drought tolerant plants insuring the design legacy of this famous Palm Beach estate.